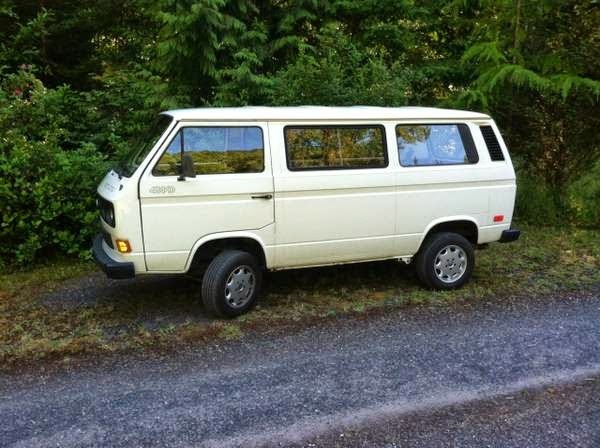 Buy Classic Volks – Volkswagen T3 Vanagon Syncro for sale Bellingham, Washington, USA on Good condition, white exterior and clean interior. 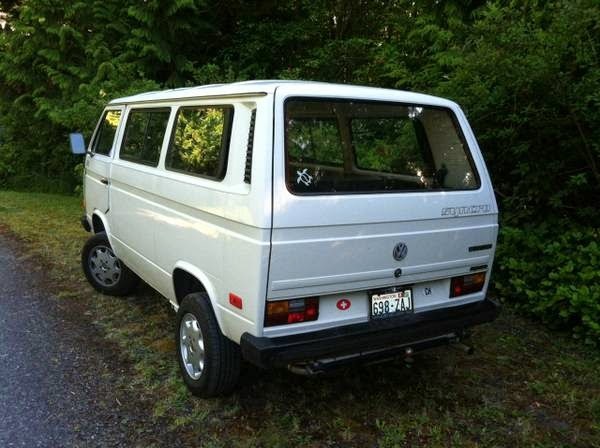 This a 1990 Vanagon Synchro for a newer, smaller, more fuel-efficient ride. Second owner. Bought it in 1993 with 33,700 miles on it. 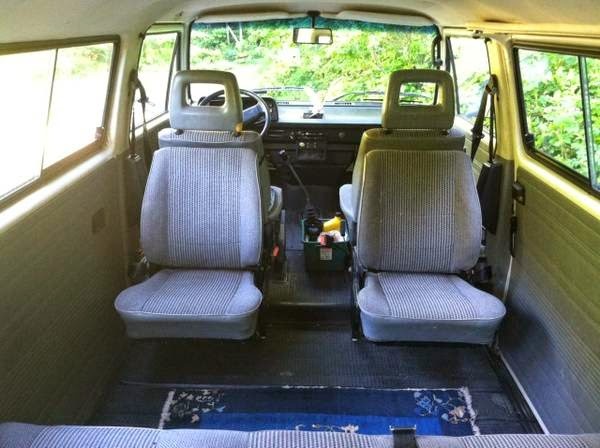 It’s the simple, 7-seater version with rubber mat floors. Used as the family van, hauling kids and soccer teams around town. Occasional outings out to the coast and into eastern Washington. Well cared for and maintained. All maintenance and repairs performed by a well-respected, local VW certified shop: Harmony Motorworks. Regular oil changes every 5,000 miles. It’s now got 270,000 miles, but looks great and runs like a champ. The body and interior are clean and straight. Still has the original Owner’s Manual in the glove box. Upholstery is original and worn. Body is about 50% original paint. Front and sides were repainted in 2008 along with repair of a couple of minor scrapes and dings. The most significant upgrade was installation of a 2.0L TIICO conversion in 2004 at 195,000 miles (75,000 on the motor now). This is a much more reliable engine, and boosted the horsepower from 90 to about 115. So it’s a good strong ride and still reasonably fuel efficient, about 24 mpg on the highway. Installation and all routine maintenance by Harmony Motorworks. Replaced the viscous coupling at 240,000 miles. The on-demand 4WD performs very reliably. The Van is really good in snow. · New GoWesty wheels and Michelin Defender tires. But it’s not perfect. There’s a little rust at the panel seams under the front doors. It’s been stabilized. The TIICO manifold is also rusty and may need replacement. The muffler and exhaust system have been replaced and/or repaired recently, but there’s still an irritating rattle somewhere in the engine box that we can’t find. Overall, this is a great opportunity for someone to adopt a really nice Synchro. 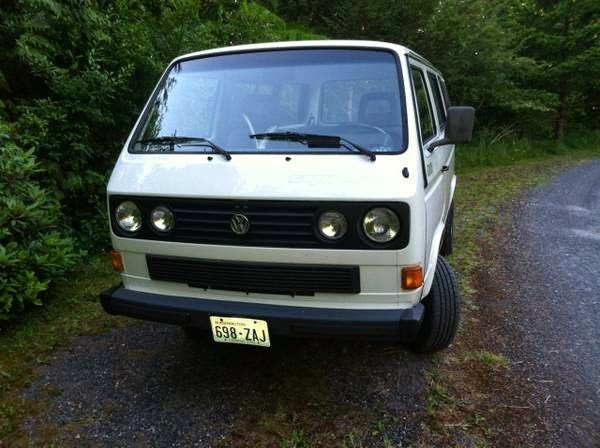 This entry was posted in 1990, Bus, Closed, USA, Volkswagen and tagged Syncro Van on July 3, 2014 by buyclass.